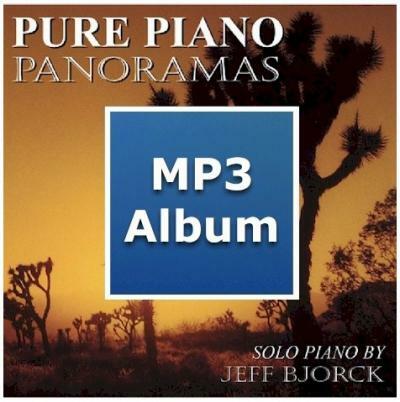 This second "Pure Piano" CD features one of Bjorck's best loved pieces of all time, "Desert Cloudburst." This CD features 9 original compositions, and like Bjorck's debut, it is framed by two original arrangements of classic hymns. In 2010, Kathy Parsons of Mainlypiano.com cited this CD as one of her "top 40 for the decade."